Recent release “Sunrise” from Page Publishing author Rodger Morris is a purposeful account of the author’s profound wisdom from experiencing God’s providence with every waking moment that transpires. Rodger Morris, a simple man with steadfast Christian beliefs, who currently works for the Department of Corrections; a twenty-year veteran of the coal field of Illinois, a member of the United States Navy for four years, as well as having been diagnosed as bi-polar, has completed his new book “Sunrise”: a resolute autobiographical narrative detailing the many instances God has inspired him every day throughout his life. Published by New York City-based Page Publishing, Rodger Morris’s heartwarming reflection is a powerful proof of God’s compassion towards his people. Featuring stories both humorous and soulful, Morris asks the readers to be encouraged with his life’s journey, and be guided on discovering one’s own sunrise in life. 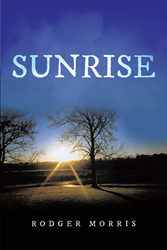 Readers who wish to experience this uplifting work can purchase“Sunrise” at bookstores everywhere, or online at the Apple iTunes store, Amazon, Google Play, Kobo, or Barnes and Noble.